Cayman National's Mike Bibby is an enthusiastic cyclist, despite having only taken up the hobby less than a year ago. 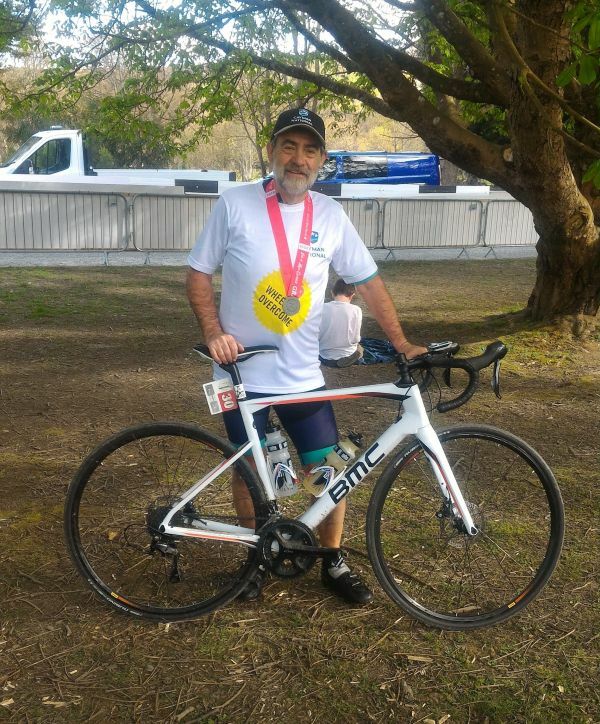 He is also a committed supporter of local charities, recently competing in the Isle of Man Cyclefest in order to raise money for his chosen charities, the 'Isle of Man Foodbank' and 'Housing Matters'. Celebrated in the office as 'Mike the Bike' he is known to like a challenge. Therefore, when Mike decided to enter the Isle of Man Cyclefest's 'Grand Fondo' racing event in April it didn't come as a surprise for his colleagues. Despite being a relative newcomer to cycling it was Mike's son who persuaded him to enter this 82-mile event boasting 7,500 feet of spectacular hill climbs around a largely closed road course. To keep his motivation high therefore Mike decided to use the opportunity to raise much-needed funds for his chosen charities, Isle of Man Foodbank and Housing Matters - both of which he has actively supported in the past. With his enthusiasm high Mike set off from the Milntown Estate in Ramsey early on the Sunday morning, with little idea how the day would go. The route was packed with the Island's toughest climbs, with 25% gradients on several classic ascents tempered only by a number of stunning vistas around the Island course. But finally, 80 miles and 6 and a half hours later, an exhausted Mike crossed the finish line. "It was a tough ride, very tough", said Mike as he recovered from the cramp he had endured for the last five miles of the course. "But I managed to complete the challenge, despite losing my chain on the way down the Slieu Whallian back road. I also almost fell off just 20 metres from the finish line, as the cramp finally got the better of me and my concentration started to weaken", he added. More importantly for Mike he thoroughly enjoyed the day's challenge, raising £1,000 to support his chosen charities with the support also of a donation from Cayman National. With this success now behind him Mike the Bike is typically thinking of the future and already training and planning his next big cycling challenge!